Once again, the colors of fall in our mountains have been brilliant. 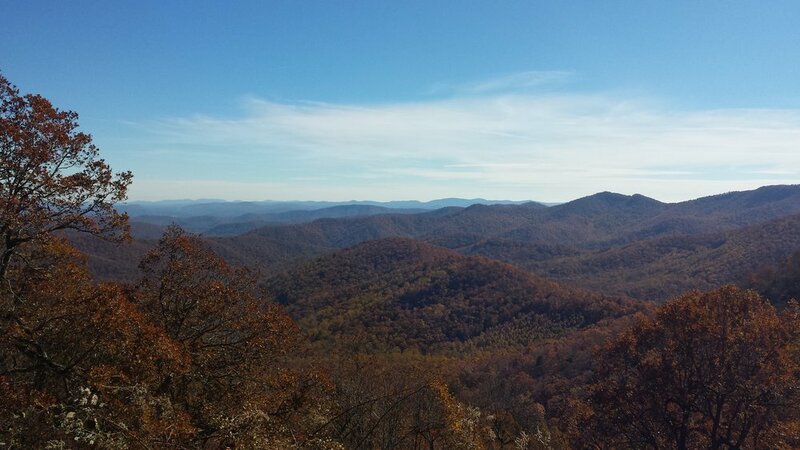 Here are photos I took two weeks ago from the Blue Ridge Parkway just twenty minutes from our home. 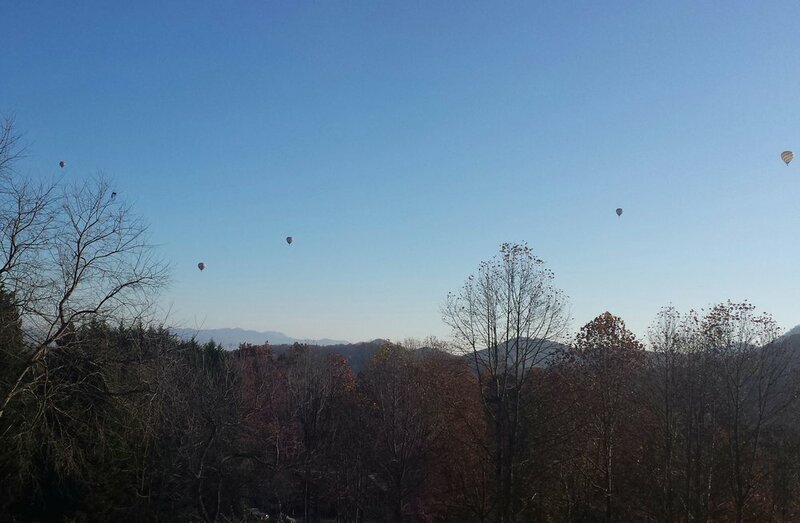 The weather this past Sunday morning was perfect for hot air ballooning. Nice view from our deck! 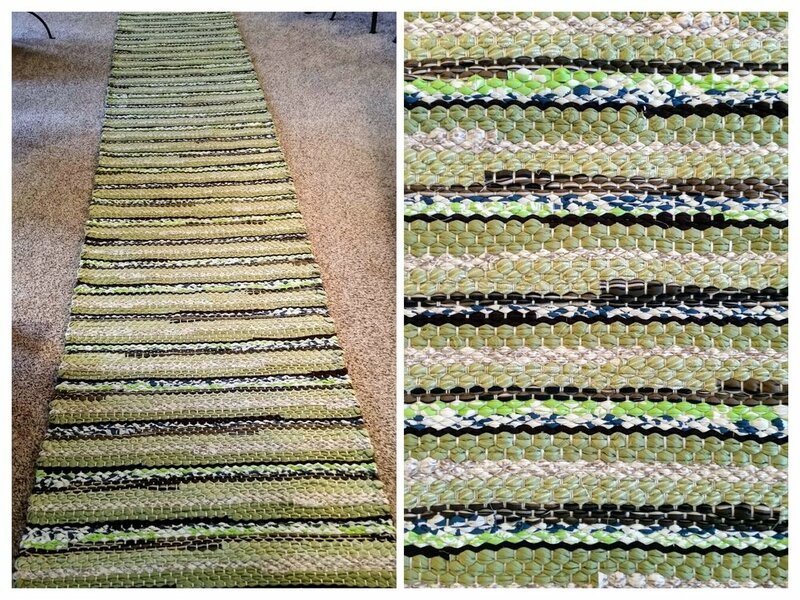 Loved weaving a twenty foot long stair runner for a client in Pinehurst, NC. Such warm colors!